Nikki Velasco is a Chicago native. She earned her bachelors degree in psychology from the University of Illinois at Chicago and a bachelors degree in nursing at Lewis University. She started her career as an ER/Trauma nurse for 5 years before returning to school for her masters degree. She studied at the University of Nevada Las Vegas where she graduated with her master of science in nursing as a family nurse practitioner. During her time at UNLV, she was also a clinical instructor for undergraduate nursing students. 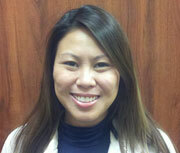 Nikki has been with the practice since July 2011. She has enjoyed the transition from working in a hospital setting to working as a primary care provider in an out-patient environment.